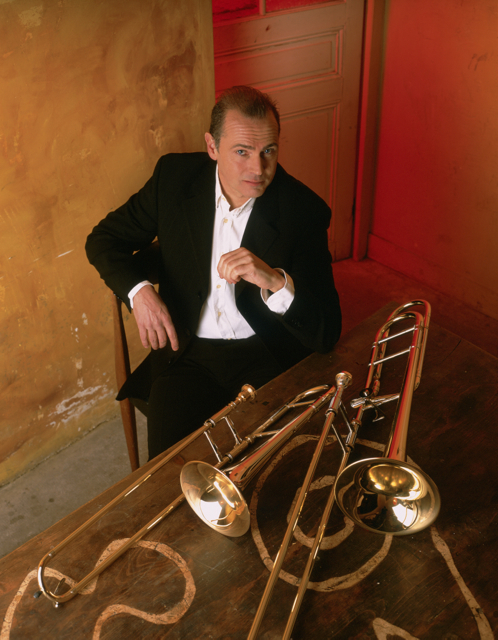 Formerly Principal Trombone in the Orchestra at the National Opera Theatre of Paris and the Nice Philharmonic Orchestra, Jacques Mauger has forged a career as an international soloist since 1996. His passion for providing performances of the highest virtuosity comes from his dynamic and fresh approach in promoting the trombone as a truly great solo instrument. A seasoned traveller, his many journeys around the world have given him a taste for different cultures and their influences have provided a rich source of inspiration for his interpretative style. His talent continues to inspire a great number of composers both in France and abroad The richness of his experience enables him to possess a very large repertoire including baroque and classical styles as well as contemporary music. Jacques Mauger has also devoted his career to teaching and he has been Professor of Trombone at the Conservatoire à Rayonnement Régional de Paris since 1994, the Academy of Saint Cecilia of Rome as well as being guest professor at Senzu Gaken University in Tokyo and now at the HEM de Lausanne site de Fribourg Switzerland. In his role as a true ambassador of the French school and its repertoire, he regularly presents master classes throughout the world for the soloists of tomorrow. Jacques Mauger is the new president of the “Association des Trombonistes Français”.